Vijay's "Kaththi", the biggest hit of 2014, will be reaching the 50-day mark in theatres on Wednesday, 10 December, and the film makers have organized an event to mark the occasion. The makers of "Kaththi" have planned a grand event to be held on 14 December at Bell grounds, Palayamkottai, Tirunelveli district. Vijay, Samantha and Anirudh Ravichander along with other cast and crew members of the film have been invited by the producer and the director. Vijay, Samantha, Anirudh Ravichander and AR Murugadoss are likely to be part of the event, says a report. This will be a memorable event for the production house Lyca as it had some tough times during the making of the film. The film was released under tight police security following threats made by some groups, which accused Lyca of having links with Sri Lankan President Mahinda Rajapaksa. The issue was resolved when the production house removed all references to Lyca Productions from its film. "Kaththi" is written and directed by AR Murugadoss. After facing a lot of trouble during its release, the Tamil movie was launched worldwide on 22 October. The movie opened to positive reviews by critics and audience. "Kaththi" made a record ₹ 23.45 crores worldwide on the first day and ₹ 36+ crores from Tamil Nadu in the first weekend. It reached the 100-crore mark in just 12 days. The story of the film, which features Samantha in the female lead role and Neil Nitin Mukesh in a negative role, is about a common man's courage in taking on a corrupt corporate house. How he fights is the interesting part of the story. Vijay to attend 'Kaththi' 50 days celebrations at Palayamkottai? If sources are to be believed Kaththi’s 50th day function will be happening at Palayamkottai, Thirunelveli and Ilaiyathalapathy Vijay is likely to grace the event. Sources add that the event will be happening on 14th of December at Bell grounds at Palayam Kottai and we also hear that AR Murugadoss, Anirudh, Samantha and Sathish are also expected to attend the function. Of late, Vijay has started conducting his film events outside Chennai so that he can meet his fans who are residing at other parts of Tamil Nadu. Vijay’s Nanban audio launch was happened at Coimbatore, Velayutham audio launch was happened at Madurai and even the Kaththi’s success meet was happened at Coimbatore. 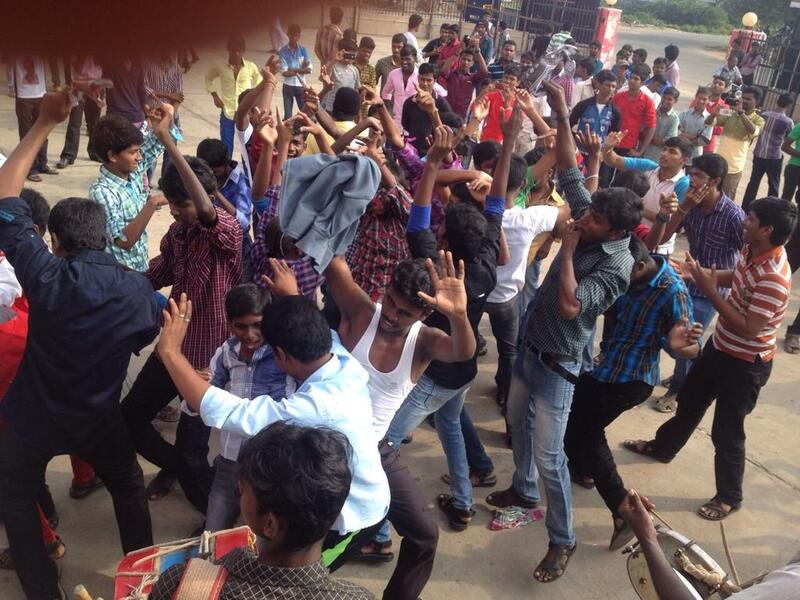 Kaththi is the one of the biggest grossing film of 2014 and still running in major theaters across the state.